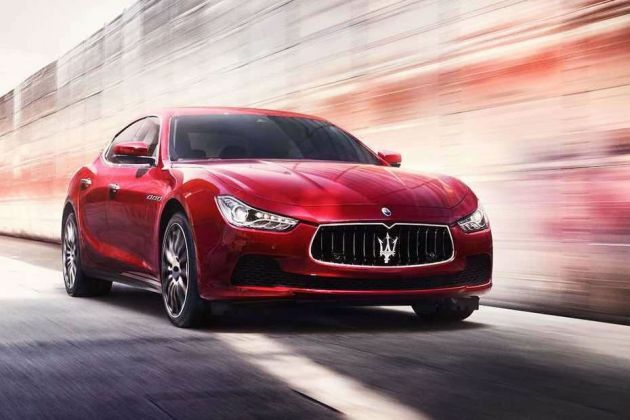 Price and Variants:The base variant of the Maserati Ghibli is priced at Rs 1.33 crore, while the GranLusso and GranSport variants cost Rs 1.38 crore and 1.42 crore (all prices, ex-showroom Delhi), respectively. Engine Specifications and Mileage: All three variants are powered by the same 3.0-litre turbocharged diesel V6 that makes 275PS of power and 600Nm of torque. This helps the Ghibli clock the 0-100kmph sprint in just 6.3 seconds, before going on to hit a top speed of 250kmph. It has an ARAI-tested fuel efficiency of 16.94kmpl. Competition: The Ghibli doesn’t have a direct competitor in India but is priced along the lines of BMW 7 series and Audi A8L. The claimed ARAI mileage for the automatic variant: Maserati Ghibli Diesel is 16.94 kmpl. The Maserati Ghibli gets an electric power steering in the 2018 model year update!